so the question is, where has everyone gone ?? Trouble was the site was down for a while and it coincided with lots of people loosing their trucks, the 4x4 scene is quieter all together, add to that the people getting into it are younger and have different backgrounds perhaps. I know quite a few people who have given up laning/off roading or owning a LR, quite a few more who now have families like me. 1995 Range Rover Classic Vogue LSE with 5 big sticks of Blackpool rock under the bonnet. think we have seen the best years in laning /offroading not many pay/play sites open although thats the fault of the greedy landowners who got into it for a fast buck also its a fact of life that folks move on in life grow up get wed or not but hey i still get out every weekend does help living on the Plain though. 1961.Series 2 v8 + 03 Vitara SWB. MG Midget 2,0L Pinto 1973 (swifty). I pop in from time to time, ive been rebuilding my disco over the past two years and time and money event been kind to the rebuild !! Maybe things will pick up in the new year ?? Having ben here for 10 years I am shocked at how quiet it is. I avoid it because of work. Oh and I don't have time either. I still 'stick my head inside the door' once every few days just to see what is going on here. I don't have a much time as I used to though to. Mainly just a look to see that no one needs any tech help or have posted claiming they are stuck in the middle of no where. 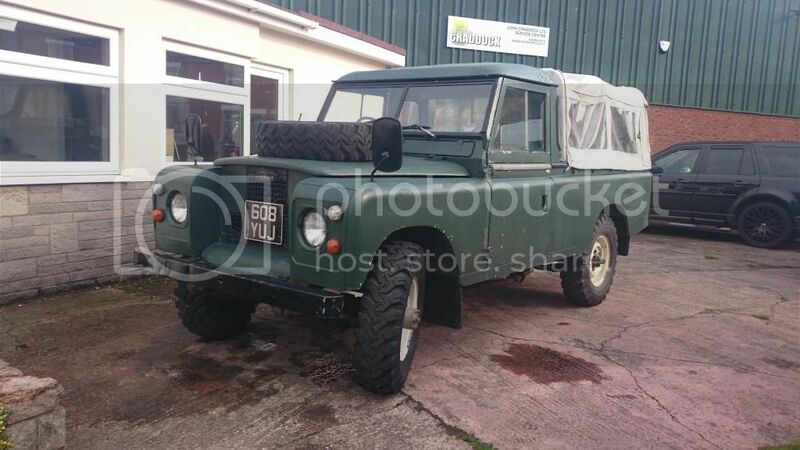 "Jemima" 2.25 Petrol SWB, ACR rear Silencer, 235/85 Macho's, MAP Capstan & HD Bumper, Tweeked suspension, CB, Light Bar. "Lizi" 4.2 V8i Discovery, Gone but not forgotten. Vorsprung Duch Ducktape. My website Searle Safari Info source. J33P drivers eat bagels by the bucket load !! dont they ? woo well im back after some interweb issues! :D wheres everyone gone?! Some of us are still here keeping things going, there doesn't seem to be so many people with 4x4's now, I personally don't have one now and a few others locally have got rid of them, having said that not all have disappeared, but not many venture out into the lanes now that we have such a short season in Northants due to winter lane closures which I think has put many off. 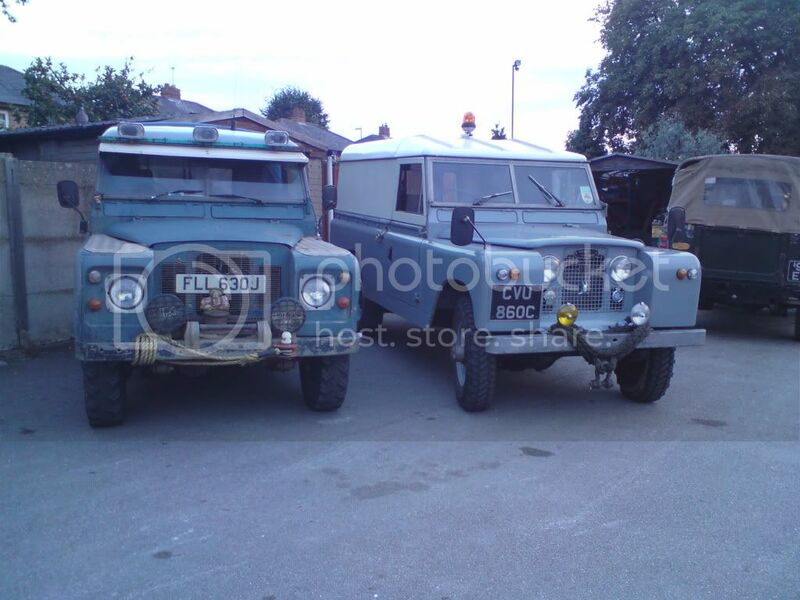 We used to travel miles to go laning at one time but cost of fuel etc seems to have brought that to an end. We still have club meets in Northampton twice a month so we are around. I think those of us who do come on here, even if its infrequently, and just post something even if they feel its drivel, someone might respond to it, you never know. We could all do our bit to try and promote the club again and try to bring it back to the glory days, that's my hope anyway. would be good to see it back as it was. use to be 1000s of people here and such a friendly place. would love to but still not got driving licence lol hoping to be able sort this one out so i can do it at last. still needing some bits like a proper roof so i can remove the center bulkhead for my freakishly long legs and got to put a little steering wheel on with a few other tweeks but hopefully *fingers crossed* ill be ok with it soon. shes got the wrong front end on as well so will be looking for the right one at some point also. When Frank & I first joined, it was busy every night on here!! Yorkshire Born & Bred, and proud of it. "You Can Allus Tell A Yorkshireman, But You Can't tell Him Owt!" I know there was a few here before me.